Kids Skin Care Menu – Teaching your children to take care of their skin is critical, and it begins during their early years! They will be challenged by acne and oily skin before you know it! 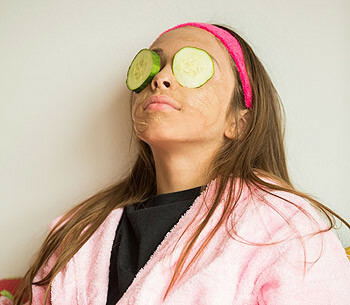 One way to ensure good skincare habits is to treat your child to organic facial treatments, while mixing in a little bit of fun! It is also an effective way to teach your kids to be more eco-friendly by using all-natural ingredients. It’s important to realize that not every kid’s skin is the same. Just 4 Kids Salon & Birthday Party Boutique offers a unique selection of Kids’ Skin Care Services. 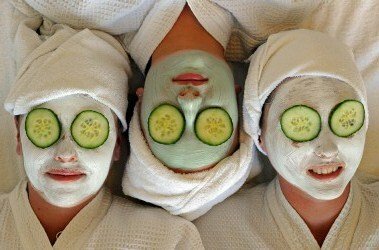 Pick the package that is best suited for your little angel, or treat her to a Day at the Spa “Besties” package with a friend! Our diverse skin care menu helps to ensure our place as the most comprehensive Kids’ Salon and Spa in Northern New Jersey! Parking is absolutely free, so we are a convenient stop for families! Again, Your Choice of Organic Greek Yogurt Mask, Oatmeal Scrub, Olive Oil & Sugar Cookie Spread for you and your little one! *Walk-ins are NOT recommended on Saturdays and Sundays. Please book an appointment. Book a fabulous birthday party for your child on our Party Menu. 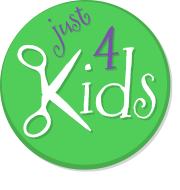 Remember, at Just 4 Kids Salon & Birthday Party Center, we boast the most comprehensive Kids’ Salon Menu in Northern New Jersey! We are THE HAIR SALON, NAIL SPA, KIDS SKIN CARE SPA MENU and POSH BIRTHDAY PARTY SPOT in Hoboken! Check out our Kids Skin Care Menu in more detail! Just click on the various sub-links to get more information. Or, give us a call at (201) 653-KUTS (5887) to speak with a manager to learn more! You can also Book an Appointment for Salon Services automatically by clicking on the orange “Book an Appointment“ button above! Thank you for checking out our kids skin care menu!